After a tough 18 holes, and a particularly tricky return from the 19th, it’s probably time for a cuppa. So tee up again with this golf ball themed mug. A great gift for amateurs and pros alike, as long as the caddie hasn’t forgotten the biscuits again. After a tough 18 holes, and a particularly tricky return from the 19th, it’s probably time for a cuppa. So tee up again with this golf ball themed mug. A great gift for amateurs and pros alike, as long as the caddie hasn’t forgotten the biscuits again! 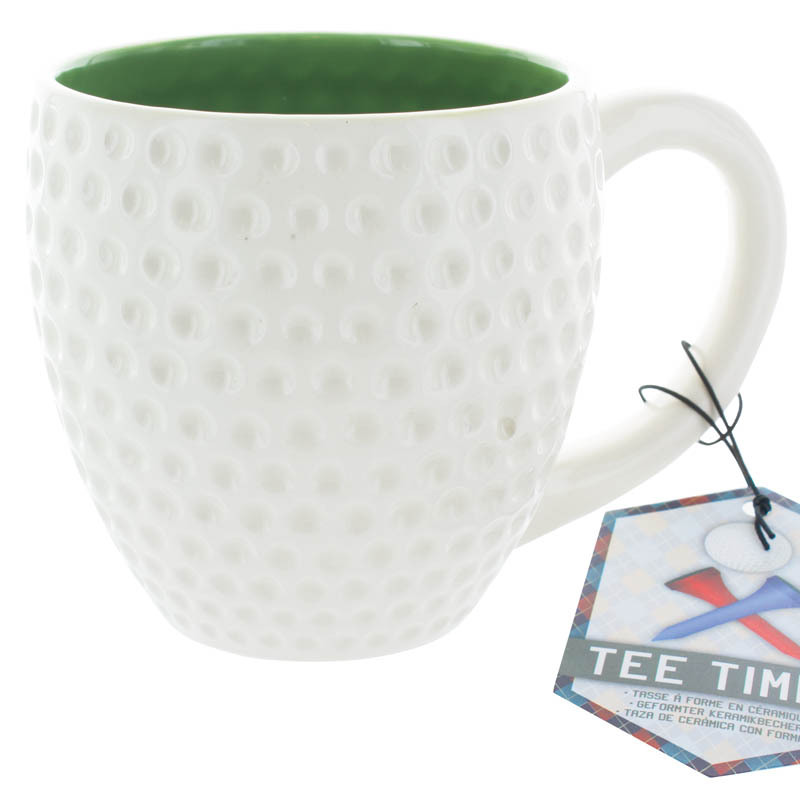 The Tee Time Mug is a standard sized drinking mug designed in a typical golf ball style, coming all white with classic dimples and a green interior. The perfect gift for the golf player in your life, the Tee Time Mug is an ideal way to relax after a morning of golf. A well chosen mug makes the perfect present for any occasion. Whether for birthdays, Christmas, Father’s Day or Mother’s Day, the right mug is guaranteed to raise a smile, and as a practical, everyday gift, a favourite mug will be used again and again, all year round. Perfect as stocking fillers or Secret Santa’s too, the right mug makes a wonderful personal gift to family, friends, or work colleagues. 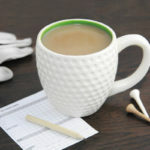 So whether you drink tea, coffee, hot chocolate or hot blackcurrant, finding the right mug is the first step to the perfect pick-me-up.After a tough 18 holes, and a particularly tricky return from the 19th, it’s probably time for a cuppa. So tee up again with this golf ball themed mug. A great gift for amateurs and pros alike, as long as the caddie hasn’t forgotten the biscuits again! Part of the Mugs range by Paladone.